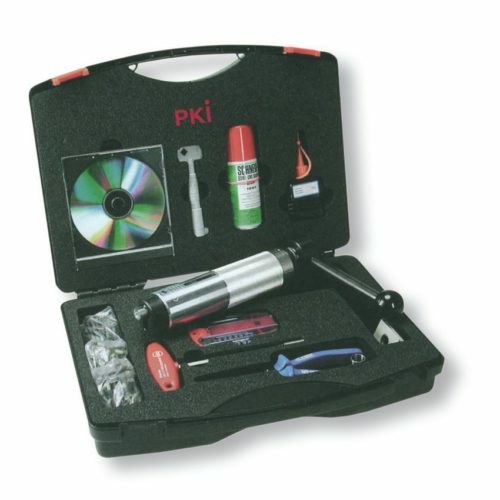 This PKI 9580 has been designed as an assortment around the well-known mechanical tearoff device for the opening of every kind of locked doors and has been assembled in close co-operation with a large number of our customers from all over the world. No matter what kind of locks, whether round-type or cylinder-type is to be opened, this set offers the best possible choice to every kind of government department. Even breaking of fixed links is possible with this set of high-quality tools. 1 pce tear-off plate for profile-cylinders, 14.7 mm diam. 1 pce tear-off plate for round-type cylinders, 16.8 mm diam.